Jefferson-Lewis BOCES will be hosting about 200 students from around the North Country as part of the annual Region 8 and 9 Odyssey of the Mind tournament, scheduled for March 3, 2018 at Watertown High School and Case Middle School from 7 am-3pm. This year’s tournament will see 15 school districts taking part with a total of 43 teams participating, made up of students in grades K-12. The students will be tasked with finding creative ways to solve a problem they are presented. Winners of the each division will then be able to move on to compete in the New York State Tournament, which will take place on April 7, 2018 in Binghamton, NY. This upcoming tournament would not be possible if not for the work of countless volunteers who are donating their time to assist with organizing the event, including those will be judging the various competitions. A special thank you goes out to the coaches and parents who will be attending the competition to cheer on and support the participants. 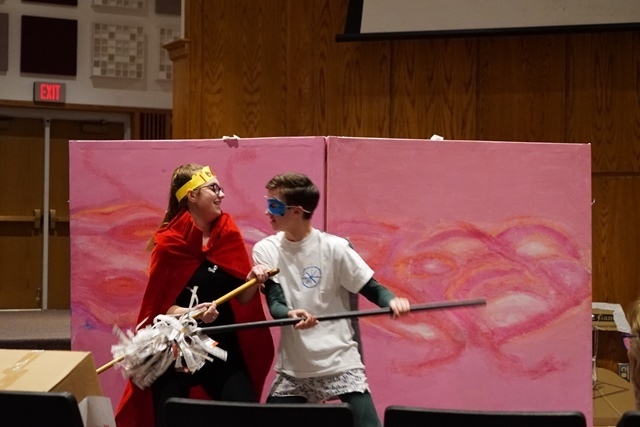 To learn more about Odyssey of the Mind, visit their website here.